Start career in tournament or enjoy quick racing with HD classical graphics, beat opponents, real car sounds and 3D animations of Need for Speed II SE. 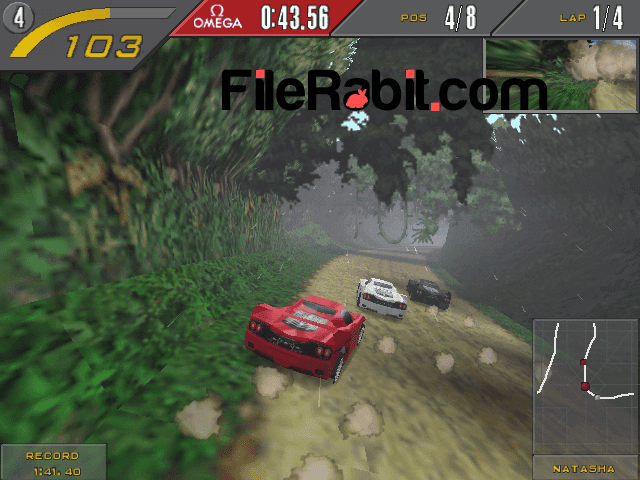 A super class racing game developed and published by Electronic Arts during 1997. The player is allowed to drive anywhere to enjoy the environment of realistic graphic animations. The game has differential gaming experience including annoying with opponent cars, complete the challenges in tournament, start hang out with opponents or just start open drive to snowy, clean roads, dusty or jungle based tracks. 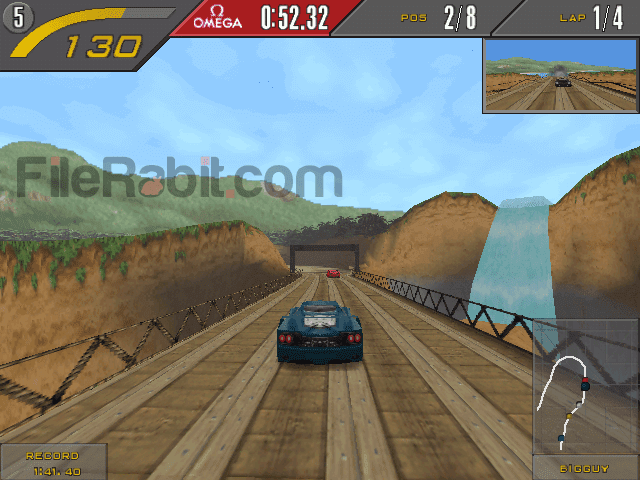 The game support both quick race and circuit mode for gamers, play quick race mode or start tournament with friends. The main gameplay screen shows small map for route guidelines, speed meter, target and your time duration meters as well. NFS is award winning game series which has dozens of releases since last 20+ years. The game receives several awards and positive ratings till last years but later time, EA has released bundle of new games in Need for Speed series. However, circuit, ambush and quick racing gameplay types were added into the edition. The graphics are just amazing because at that time between 1997, there is no more competition in GPU race. A simple and Pentium III based racing game which offers up to 8 cars as well as many racing tracks. The gameplay is simple where gamer can customize number of rounds (laps), destination tracks, cars and more. The user is allowed to change keyboard buttons but the default vehicle controls are arrow keys to forward, back and turning right or left. Instant break can be took by pressing space bar button. Each of the car has its own acceleration, engine power and body shape that may recall its speed. The single player race has total number of 8 players but the player can choose traffic on or off. The traffic level can be switched between low, medium and high levels. The public traffic will interrupt gamers with making accidents with racers. EA has replace this function with police bounty cars in latest versions of Need for Speed series. 2 players can easily play from single computer with adjusting keyboard buttons without interrupting other player. Camera position can be changed from nearer to far position e.g. sitting on driving seat.Moreover, sounds are realistic with natural audio of car racing, moving and jumping. During the gameplay, car will not be broken even hitting sides of the roads but in few maps, car will be jumped out of road so it will be replaced with a new vehicle immediately. EA has added hand picked cars from Ford, Jaguar, Ferrari, McLaren F1, Lotus and more. 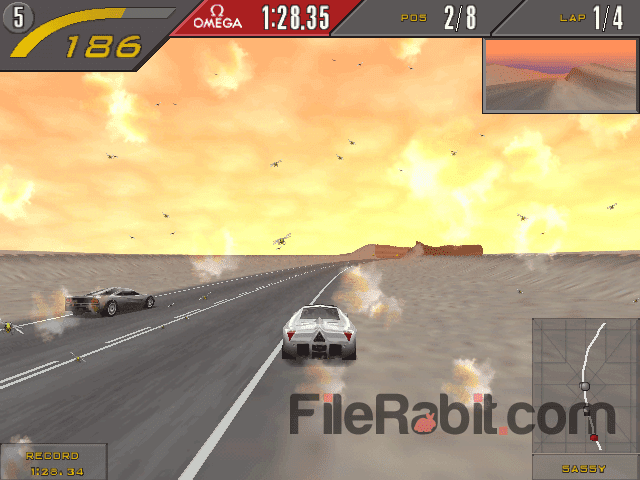 There are various functions that can be unlocked after achieving the target racing positions. Overall, NFS II SE is classic but one of the best games in the history of racing games.